EVER SINCE THE M3 ROCK FESTIVAL ANNOUNCED THAT L.A. 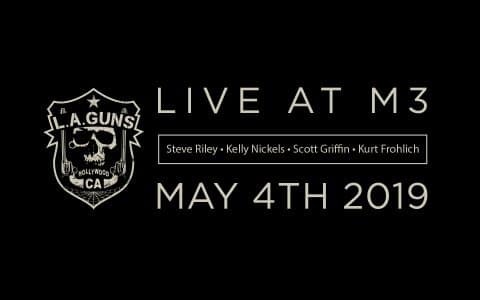 GUNS WERE PLAYING THIS YEAR (ON MAY 4, 2019), AND DRUMMER STEVE RILEY CONFIRMED THAT HE WAS GOING TO BE PLAYING THE EVENT UNDER THE L.A. GUNS NAME WITH SOME L.A. GUNS ALUMNI, THE BIG QUESTION WAS WHO WOULD BE HANDLING THE LEAD VOCALS? WE GOT OUR ANSWER ON APRIL 12, 2019 WHEN RILEY’S L.A. GUNS ANNOUNCED THAT KURT FROHLICH WOULD COMPLETE THE LINE-UP WHICH INCLUDES ORIGINAL BASSIST KELLY NICKELS (WHO WILL BE PLAYING IN L.A. 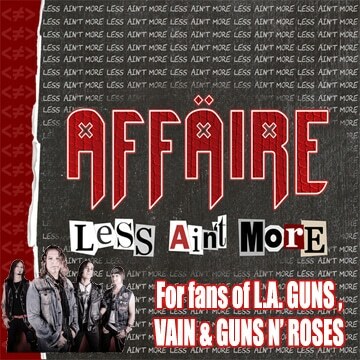 GUNS FOR THE FIRST TIME IN 19 YEARS) AND LEAD GUITARIST SCOTT GRIFFIN (WHO PLAYED BASS IN L.A. GUNS FROM 2009 TO 2011 AND 2014 TO 2016). 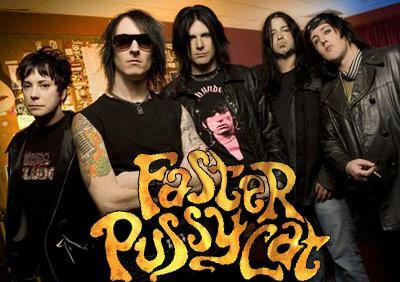 WHILE THE NAME ‘KURT FROHLICH’ MIGHT NOT BE THAT FAMILIAR TO MANY SLEAZE ROXX READERS, HE ACTUALLY FRONTED THE FASTER PUSSYCAT BAND VERSION PUT TOGETHER BY GUITARIST BRENT MUSCAT AND THAT INCLUDED ERIC STACY (BASS) AND BRETT BRADSHAW (DRUMS) IN 2006-07. Sleaze Roxx: Congratulations on landing the L.A. Guns gig at M3! There were a bunch of names floating around as possible candidates for the lead vocalist position. I think it’s fair to say that the announcement on L.A. Guns’ Facebook page on Friday night about your involvement was a surprise. How did you land the gig? Kurt Frohlich: Thanks Olivier. I’m excited to be a part of it and play these great songs. Yes, the Facebook page photo was the announcement of the line-up for the M3 show. 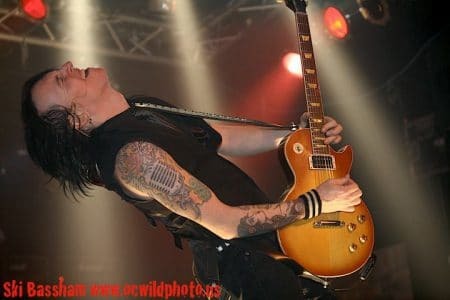 The gig came about from my friend Jason Green, who was the manager of a Las Vegas band I was involved with — The Sin City Sinners — which included Todd Kerns from Slash’s band and Brent Muscat. I played live and produced an album with them. Jason called me a few months ago and thought I’d be a good fit with L.A. Guns as he saw what I did with Todd and Brent in Faster Pussycat. From there, Steve Riley called me after he had checked me out online and talked to other musicians I have worked with from my 18 years in Las Vegas and previously from that in Canada. Sleaze Roxx: I interviewed Scott Griffin back in January 2019 and he had suggested that perhaps the band rehearsals would be to audition singers. Did you take part in the band rehearsals and if so, were you auditioned at that time and how did it go? Kurt Frohlich: No. Steve offered me the gig over the phone and then they flew me out to L.A. for rehearsals. Sleaze Roxx: Had you met Steve, Kelly or Scott before and if so when and where? Kurt Frohlich: That’s a funny story. In 1995 and living in Canada, I played in a KISS tribute [band] called Black Diamond. We were touring the US and had a show at The Shark Club in Las Vegas. L.A. Guns had played the night before and were backstage at our show. During our Gene breathing fire solo [segment], I got to have a chat with them and mentioned what a big fan of the band I was. Sleaze Roxx: You’re stepping into a pressure situation since it’s anticipated that some L.A. Guns fans might not be happy that Phil Lewis and/or Tracii Guns are not in the line-up. Are you feeling any pressure and what would you say to anyone skeptical about the L.A. Guns line-up playing at M3 next month? Kurt Frohlich: I have been in this situation before with my run with Faster Pussycat. Tracii’s line-up looks and sounds great and are out there touring. I got asked to do this gig and didn’t want to turn it down, as I’m a huge fan of the band and their songs. I understand some fans will be upset that it’s not all the original members but that really is out of my control. I got asked to do a gig and I want to do it. I’m just going to do what I do and play the songs for the fans that want to hear them. Sleaze Roxx: I think a lot of people are missing the point that this is really a fun and possibly one of a kind gig which includes the return of Kelly Nickels in a L.A. Guns line-up in almost two decades. 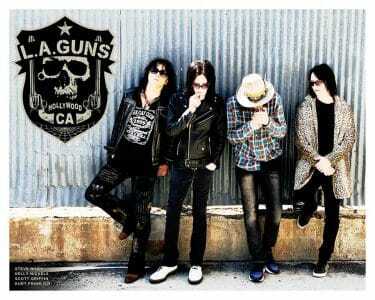 Obviously, this will be a historic moment in L.A. Guns’ history. How do you perceive the upcoming M3 gig and its significance to the L.A. Guns legend? Kurt Frohlich: Yes, it’s a celebration of the great music these guys wrote and performed together years ago. Kelly being in the band is a highlight of this experience. His bass playing, attitude and energy at rehearsals are what I remember about the band. Him and Steve are a great rhythm section and I think people are excited about seeing them on stage together again. I think the fans will love the setlist we have chosen for the show. Sleaze Roxx: When Steve first announced that he was going to play the M3 Rock Festival under the L.A. Guns name, he indicated that he would be bringing some L.A. Guns alumni with him. You will be the only non-L.A. Guns alumni at the M3 Rock festival. Do you have any apprehensiveness about that? Kurt Frohlich: Yes, I’m the only non-alumni. I don’t have any apprehensiveness about it. The guys have made me feel like part of the band and not a hired guy. Sleaze Roxx: Many people will remember that you were part of the Faster Pussycat line-up with three of the classic line-up members — Brent Muscat, Eric Stacy and Brett Bradshaw — along with Todd Kerns back in 2006-07. How did you end up landing that gig? Kurt Frohlich: Brent and I were in an original band together in Las Vegas, The Underground Rebels, which I still do today. The 20th [year] anniversary for Faster Pussycat was coming up and Brent wanted to get back out and do it. He reached out to all the other guys, including Taime. Eric and Brett were the two that agreed. When Taime declined, he asked me to do it and thought it would be a great lineup. We then needed a guitar player and I suggested my good friend Todd Kerns who I played in multiple bands with. That’s how their relationship started. Sleaze Roxx: As you indicated, you were in a similar type situation as the one coming up in L.A. Guns where you are replacing the “voice” of the band. How did you find the Faster Pussycat fans’ reception to you replacing Taime Downe? Kurt Frohlich: The Faster [Pussycat] fans were great! They were so welcoming and I think they saw that I just loved the music and the band. I wanted to do a good job and make the fans happy. That’s how I’m approaching L.A. Guns. 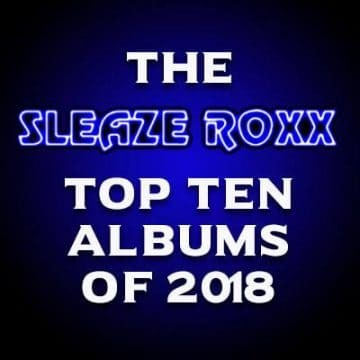 Sleaze Roxx: From what I understand, the version of Faster Pussycat that you were involved with toured Europe in the spring of 2007 but eventually you guys stopped. What happened? Kurt Frohlich: We didn’t get stopped. We could have kept touring. We all had other projects going on at the time. 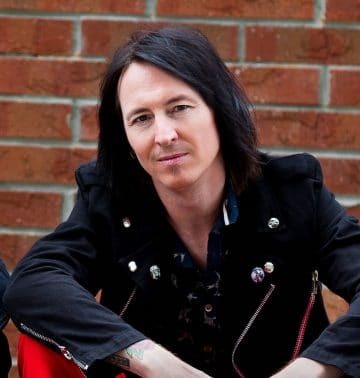 Sleaze Roxx: Back in April 2007, Eric Stacy had mentioned to Sleaze Roxx in an interview that there would be some new Faster Pussycat material with the line-up that you were a part of. Was there any new material written while you were in the band? 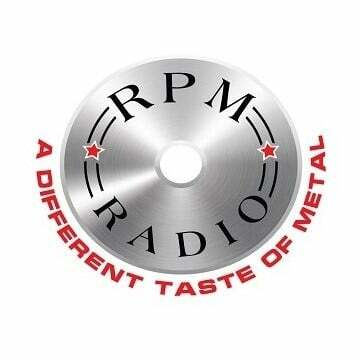 Sleaze Roxx: Taime Downe’s voice is quite different than Phil Lewis’ voice. Obviously, you were able to pull off the Faster Pussycat material. Which one is harder to sing for you? The Faster Pussycat or L.A. Guns material? Kurt Frohlich: They are very different singers with different styles. I didn’t try to imitate Taime and I’m not going to try to imitate Phil. They are both the best at what they do and I have to be myself to an extent, while still being true to the songs. Sleaze Roxx: For the last 20 years or so, it appears that you have been fronting the group The Underground Rebels. How did that band start, how many albums did you release and what’s the current status of the band? Kurt Frohlich: Yes, I started The Loving Dead in Vancouver, Canada and we got a management deal which moved us to Las Vegas in 1999. We changed the name to The Underground Rebels and did some music for the UFC including the theme song for the show TapouT. Muscat and Kerns both were part of the project for a while. Currently, playing original music doesn’t make you money so I do it because I love it. I am playing in multiple working bands here in Florida with members of The Blue Man Group and 7 Mary Three. They are also part of The Underground Rebels. Sleaze Roxx: As a big NHL Edmonton Oilers hockey fan, I noticed that at one point, the Oilers were using the title track of The Underground Rebels’ ‘Do It Again’ album whenever they scored a goal! It must have been super cool for you who originates from Edmonton! How did that come about? Kurt Frohlich: I am born and raised in Edmonton, Alberta. We submitted a song that was getting some attention in Canada and they used it for a season. It was exciting for me as I don’t miss an Oilers game. Sleaze Roxx: I understand that you are quite busy playing acoustic gigs in the Florida area. Since when have you been doing that and how do you like it? Kurt Frohlich: I didn’t start playing solo acoustic shows until I moved from Las Vegas to Orlando. I’m a full-time musician performing six days a week and play in countless projects including being part of Perfect World Entertainment, Femmes of Rock, British Rock band, Song Division and more. I just fill in the gaps playing acoustic about once a week. It keeps up your chops. Sleaze Roxx: Is there anything that you’d like to add that we haven’t covered? Kurt Frohlich: I wanted to mention I am a guitar player also and will be playing rhythm guitar on all the songs live. I think these songs sound better with two guitars as they were recorded. I think that’s it! Sleaze Roxx: Last question for you — what are your three favorite albums of all-time and why? Kurt Frohlich: Tough question. I grew up on KISS and would have to say ‘Alive!’. They are why I got into rock and roll at age six. ‘Led Zeppelin II’ is up there. The Who’s ‘Who’s Next.’ Pete Townshend is one of the reasons I play guitar today. Rock and roll to me is about attitude and putting on a show. These bands did/do that. 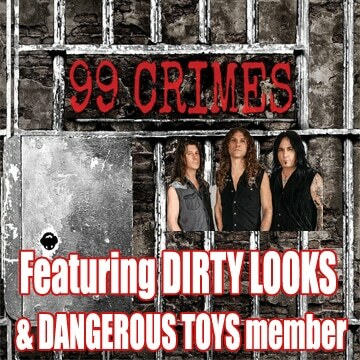 You can also read Sleaze Roxx’s interviews with the other L.A. Guns (feat. Steve Riley and Kelly Nickels) band members — Steve Riley (drums), Kelly Nickels (bass) and Scott Griffin (guitar).